At some point, activated carbon or other process media, used in environmental remediation, wastewater reclamation, industrial processing and other applications, becomes spent or exhausted. Now, the media needs to be considered for Activated Carbon Disposal. Depending on the situation, the spent activated carbon can be removed from the vessel by the user. Or, the entire vessel can be exchanged with another adsorber filled with fresh media. And another option is having TIGG’s experienced Activated Carbon Exchange Services personnel remove and replace the carbon. Before any method can be decided upon, it must be determined whether or not the spent carbon is hazardous by stringent testing in a certified laboratory. 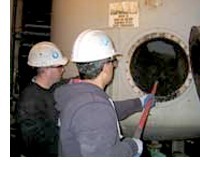 The first treatment option is reactivation, which involves heating the spent carbon in a high temperature furnace. The contaminants are vaporized, restoring the carbon’s original pore structure, allowing for its reuse. The second activated carbon disposal method involves reusing the carbon as a fuel to fire cement kilns. Co-processing carbon in cement kilns burns up the spent carbon. The third method of spent activated carbon disposal is only viable if the material is deemed non-hazardous. If handled correctly, there are no concerns depositing approved, non-hazardous spent activated carbon in an industrial landfill. Prior to removal from the work site, the media has to be classified as either hazardous or non-hazardous. TIGG can assist you to determine where and how to conduct the proper analysis of the media, properly sample the spent media, and complete the required paperwork. When all of the paperwork has been completed, TIGG’s spent carbon and process media disposal services will be able to provide the process media replacement by onsite media exchange, vessel exchange or, if you prefer, TIGG will deliver fresh activated carbon media for you to replenish your adsorption vessel yourself. 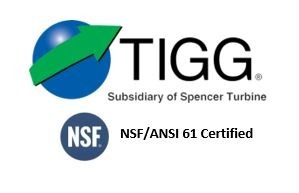 For more information about TIGG’s Spent Carbon Media Disposal Service, call 1-724-703-3020 or click here to contact us.